It is the best time for bird watching at Nalsarovar Lake near Ahmedabad if you want to spend your day watching flamingos. 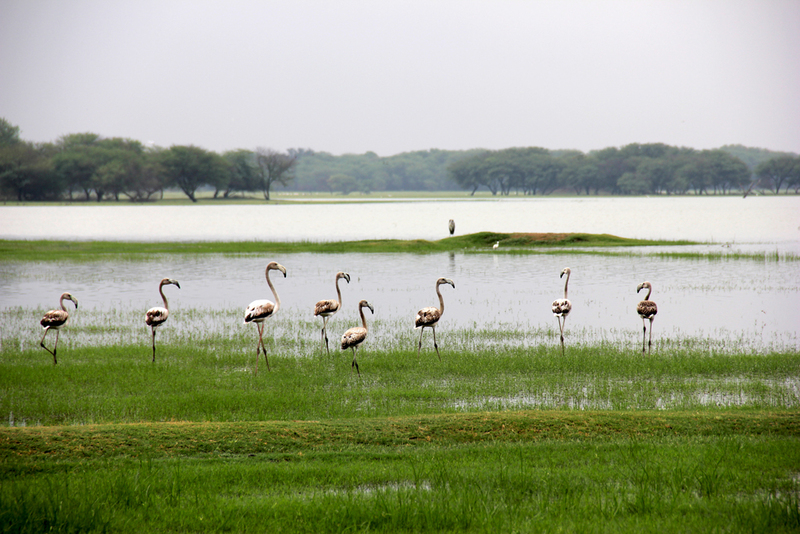 One can see thousands of lesser flamingos and 100s of greater flamingos at Nalsarovar wetland this May. Usually it is not advisable to visit Nalsarovar in summer. Nal Sarovar is a Bird Sanctuary, spread in the area of 120.82-sq-km Lake, a serene marshland with shallow waters. Nalsarovar wetland contains 36 small islands and it is about 60 km from Ahmedabad near Sanand Village, in Gujarat. The only Ramsar Lake in the state is dry at its outermost banks. 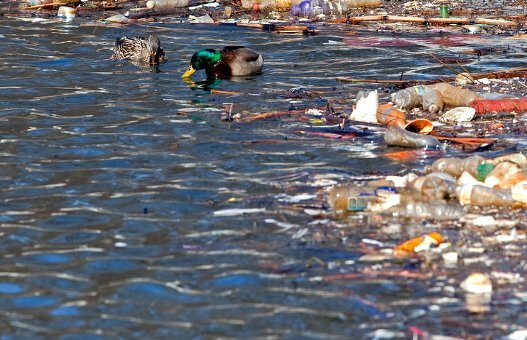 However, has some 1.5 to 2 feet of water in the middle, making it favourable for migratory birds. 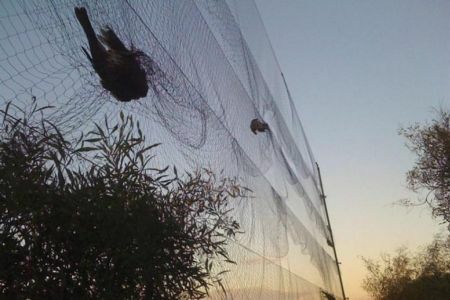 Reports state that there are large ratios of nesting of local birds in the lake. Reports claim that the number of birds at Nalsarovar this year is much better than last year. 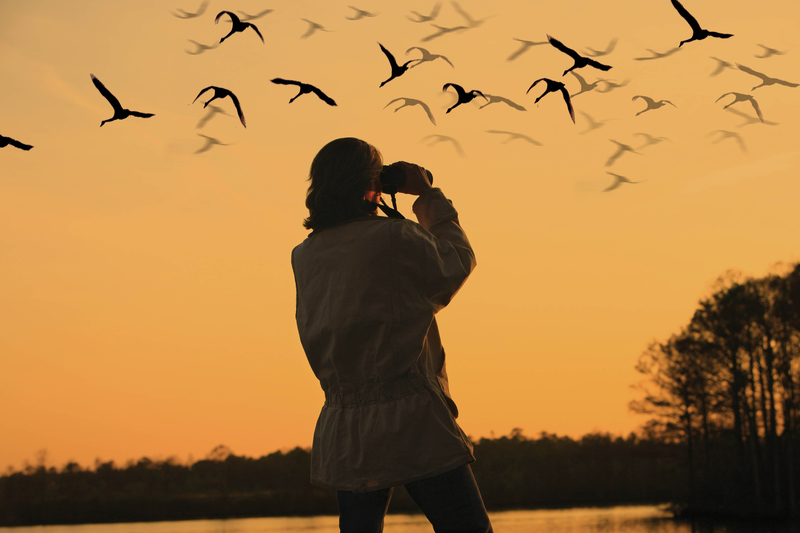 It is the best time for bird watching at Nalsarovar because of less rains last monsoon and no inflows of excess Narmada irrigation water into the lake. The state govt had stopped the supply of irrigation water since February; the water level is now favourable for waterfowl birds like flamingos, i.e. 2 to 3 feet. This is the first time in many years that one has to walk into the dry lake to see birds and not on boat. 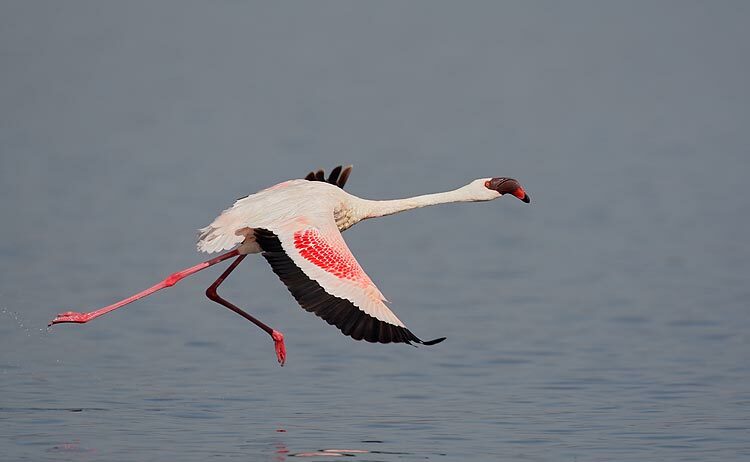 The bird census of January, showed a record low of greater and lesser flamingos count of just 3,851 numbers in Nalsarovar near Sanand, which was around 11,000 in early 2010.